It feels a little late to do my monthly update one week into the next month, but I'll forge ahead anyway. I didn't do very much last month, as I've had a virus which left me with constant headaches and feeling tired. So there's not much to share anyway. 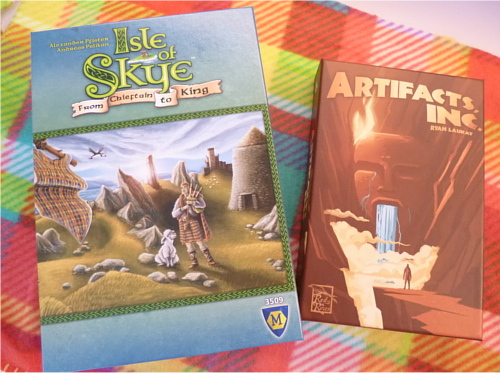 However, I did some preparation for a few blog posts, so there's more coming up soon. Spring this year has been a little wetter than normal, which the plants love, so my garden is doing well, in the main. Despite being sick, I've had a few lovely times. 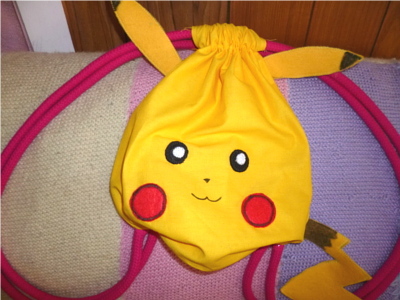 My best friend surprised me with this amazing Pikachu backpack that she sewed just for me! I decided to concentrate a bit more on finishing old craft projects, and the one I've chosen first is a set of 3 coathanger covers with a polkadot theme. I suppose I'd finish it much quicker if I just made one, but then I'd only have 1/3 of the satisfaction! I've finished the first cover and started the second one. This one is in a simple slip stitch. 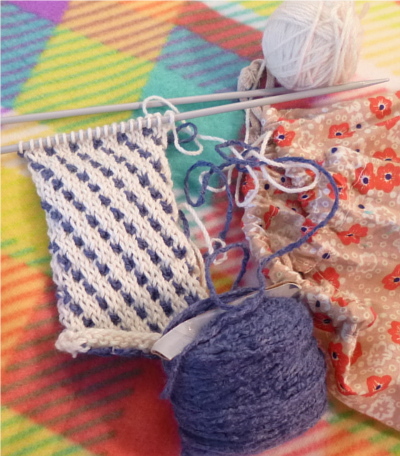 I thought I would also keep the colour theme consistent as I have quite a bit of the blue yarn in my knitting bag to use up. 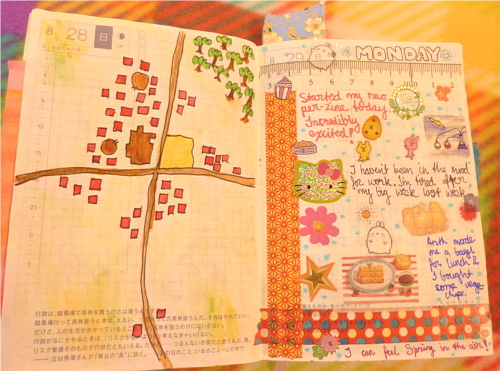 Sometimes when I'm low on motivation, I get behind on my Hobonichi daily art journalling. On days when my motivation is high though, I try to go back to the earlier blank pages and do an extra drawing, partly for the practice and partly to catch up. 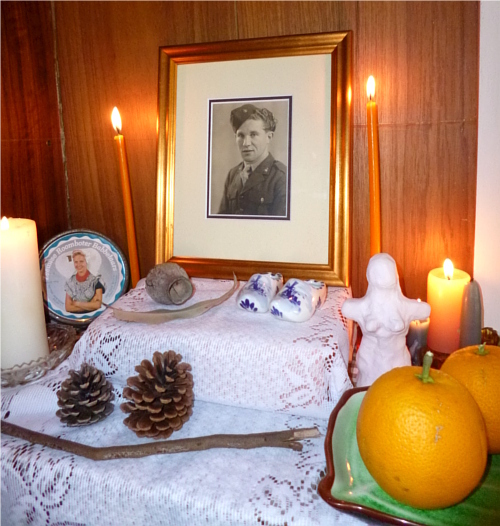 Ever since my Opa passed away, his framed photo has been the centrepiece of the altar every year. 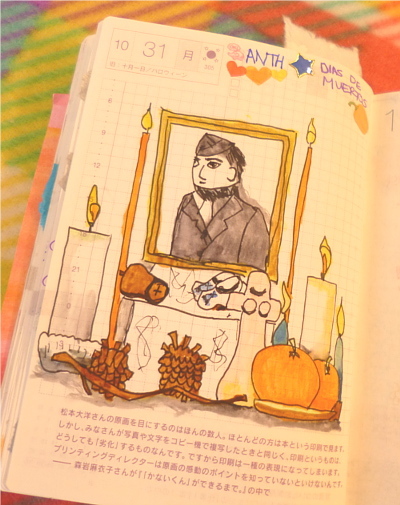 This year I added some Dutch items that I came across while I was unpacking, as well as a few things I found while on nature walks. For the first time this year, I also added the female figurine I made many years ago in ceramics class. I'm not sure why, to be honest. I've been thinking a lot more lately about feminism and why it's important, so perhaps that's why. He's better, thank you! It was just a cold. I'm hoping to play the games and post reviews soon. I didn't do an altar last year, and I really missed it. I've decided to keep it up for a whole week instead of the traditional 3 days. Your paintings are lovely! Thank you for sharing your art blog.